The Wooden Bed is one of the best value wooden bed markets. Whilst the price is reassuringly low the specification and construction has not been compromised. 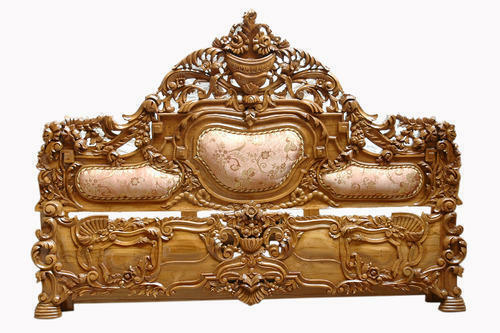 We Manufacture and Export all Type of Wooden Bed, Reclaimed Wooden Bed, French Wooden Bed, Antique Wooden Bed, Italian Wooden Bed, Designer Wooden Bed, Traditional Wooden Bed, Formal Wooden Bed, King size Wooden bed, Queen size Wooden bed, Luxury Wooden Bed, Teak wood Wooden Bed, Single size Wooden Bed, Double size Wooden Bed and the list can go on and on. If you want to customize any wooden bed then please contact us with all details and we can do it for you at no additional cost.